TEI Publisher Icon An icon consisting of a handdrawn white code bracket with orange lines on the right. TEI Publisher Logo A logo consisting of a handdrawn white code bracket with orange lines on the right and the words tei publisher. 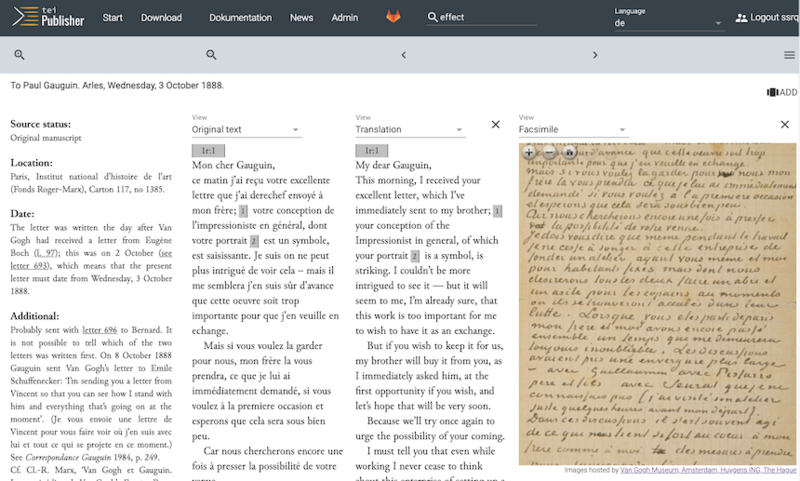 This is mainly a bug fix release based on user feedback, but also includes various enhancements and features new demos showing dynamic layout and custom translation alignment. eXist Solutions are proud to announce the final 4.0 release of TEI Publisher. This release is the next big step towards our vision of a tool which enables XML-savy scholars and editors to publish materials without becoming programmers or forcing them into a one-size-fits-it-all framework. Note: this version of TEI Publisher requires eXist 3.6.0. Publish your digital edition without writing code. Using the TEI Processing Model, customising the appearance of the text is all done in XML. Create HTML, ePUBs or PDFs from a single document and its associated processing model. No media specific stylesheets required. TEI Publisher generates applications which work well across devices and include features like page by page browsing, search and cross-media export. For developers, TEI Publisher heavily reduces the amount of custom code required by typical digital edition projects. Save thousands of lines on handwritten transformations and rely on maintained code libraries instead. TEI Publisher is an eXist-db application. Install it from eXist's package manager in the dashboard. 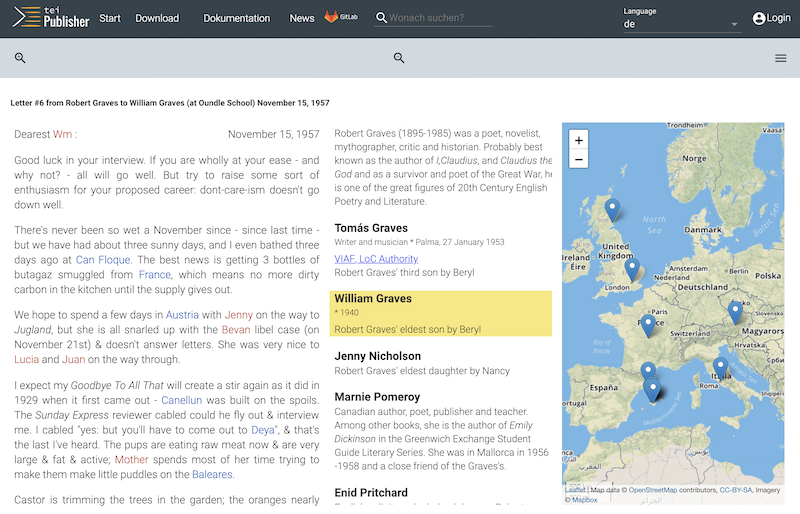 Upload your own TEI files to view them, search them, play around with different styles. Using the TEI Processing Model, customising the appearance of the text is all done in TEI ODD by mapping each TEI element to a limited set of well-defined behaviour functions, e.g. “paragraph” or “heading”. The specification includes a standard mapping (TEI simplePrint), which can be tweaked by overwriting selected elements. Create your own ODD and customise it to make the best out of your data. Watch our screencast to see how. Publish your data in various media formats without writing complex stylesheets. Rendition styles are transparently translated into different output media types like HTML, XSL-FO, LaTeX, or ePUB. Use the app generator to create your own, stand-alone web application, covering all core features like browsing, search and PDF generation. Browse the entire corpus of 32852 books from the Early English Books Online collection. A collection of Shakespeare plays from The Bodleian First Folio.